I can't think of a better way to start 2016 than by becoming a Consultant with Close To My Heart! In just a few days (January 1st), the new Seasonal Expressions goes live, and you are going to see a lot of fun new product. Not only new paper packets, but you'll also see new product lines! Let me show you the new Consultant Kit, and I'll even share what's in it! 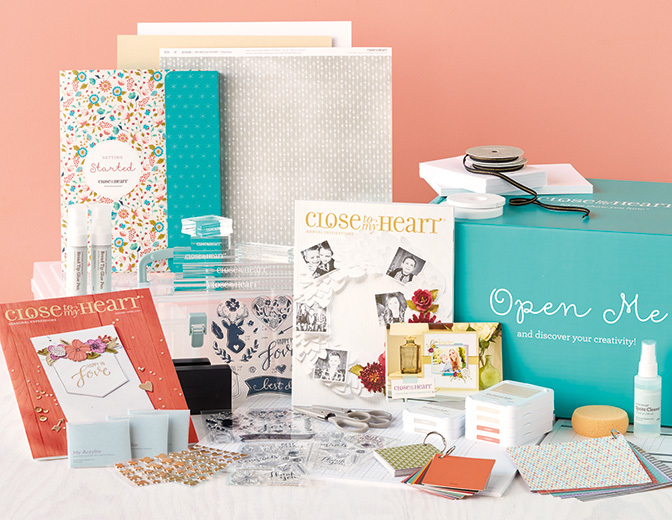 What I love about this new Consultant Kit is that it comes ready for you to invite a few friends over and create! This kit is valued at over $455, and your cost is only $129. That's quite a savings, don't you think?! I love being a Close To My Heart consultant, and it has enriched my life in so many ways! I learn new creative techniques at events and in the Consultant Online Office. I have built amazing friendships with other consultants and customers, and they will be in my life forever. Paper crafting people are some of the BEST people! I have been to Disneyland and Disney World! We never took Shane there, and it was such a joy to experience the parks during Convention with some really huge Disney fans. I have this amazing team called the Rose Blossoms. They bring my joy daily, and my team is truly one of the best things about my business. I am able to work full-time and help with household bills - all from my home office! I love to teach classes! Some of them are designed by me and some by Close To My Heart, but no matter which it is, I have a blast showing people new things! In February, I am going on my 5th Incentive Trip with Close To My Heart. My husband and I have seen Spain, Italy, France, Grenada, Dominica, St Thomas, St. Croix, St. Kitts, Costa Rica, Hawaii, and in February we will see St. John, the Bahamas, and Tortola! We could not do this on our own, and I am SO GRATEFUL for the opportunity to earn these adventures! What I'd like to know is if you have any questions for me. I'd love to answer them! If you are ready to join, you can CLICK HERE to get started!